Does Teetering Peaks trigger Heroic? There is also a lot of instant/sorcery ping, which will be viewed as super threatening and could mean a boardwipe with enough of them, which your deck could easily do. I think I just don't own one. But I should definitely get Fabled Hero in here. 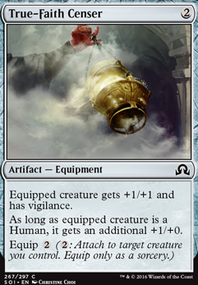 I could swap it with Akroan Skyguard, that card is underwhelming. Also I think I need 2-3 more ramp pieces so I can have better "big splice" turns. 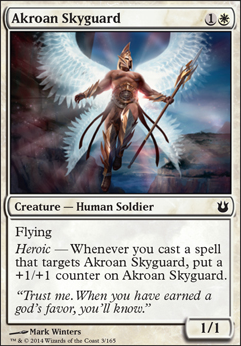 eyes2sky,Akroan Skyguard is just so much better than Lagonna-Band Trailblazer. But it feels really awkward to have all my creatures as 2-drops, I might try it because sometimes Trailblazer justs sits there doing nothing all game, but at least she dosen't die to bolt. Yes, I often find myself empty handed. But when it happens my opponent is often so near death that any spell kills either by pinging with Firebrand Archer, direct damage ike Lightning Bolt, trampling with Temur Battle Rage or just giving protection from color allowing free passage with Emerge Unscathed. If I find myself empty handed and my opponent is not near death, that's a lost game for sure. This looks really brutal +1...have you considered Akroan Skyguard? Such a good beater in a deck like this. Also wondering, do you find yourself with an empty hand often when playing this deck? I'm curious because it looks like you could use some more draw, not many options though besides draw then discard or cantrips.